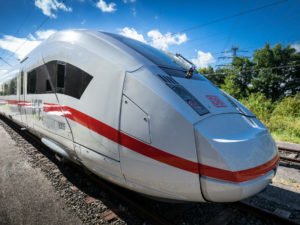 Hitachi Rail Europe and Bombardier Transportation have committed to setting up a new bid centre in Birmingham to develop their joint proposal to design and build 54 high-speed trainsets for HS2. The companies have assembled a team of around 50 engineers, designers and environmental specialists to work on the bid. The centre will be situated at Millennium Point, which overlooks the planned HS2 station on Curzon Street. The bid-team is analysing how the proposal can most effectively support the strategic goals of the British Government’s investment in HS2. The development of the new fleet should boost regional growth and also equip employees with the skills and training that can be exported to the wider high-speed rail sector. HS2 Ltd have specified that the trains must run at up to 360 km/h and be ‘classic compatible’ so that they can operate on the current network between cities such as York, Newcastle, Liverpool, Glasgow and Edinburgh. The Procurement Programme for the HS2 trains was announced in April 2017. Several rolling stock manufacturers, including CAF, were invited to submit bids to design the trains. The final proposal for the contract must be submitted to HS2 Ltd by February 2019. The winner of the £2.7 billion contract to design and build the trains will be announced in March 2020.